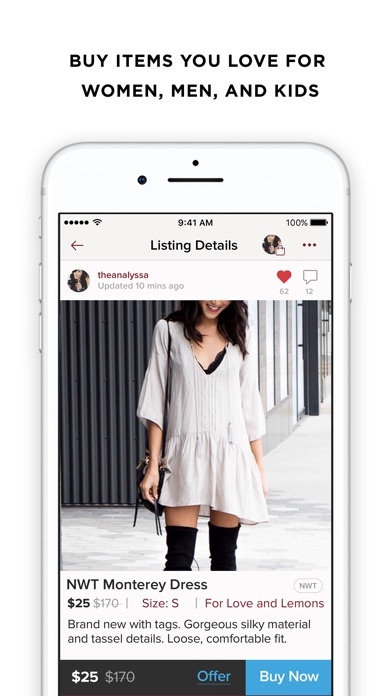 IOS App Developer: Poshmark, Inc.
By No more advertisement posts!!! I was skeptical at first, but a friend used it and said she sold a ton of stuff. I have now sold over 1500 dollars worth of stuff. If you want to sell clothes and not get pennies like at a consignment, this is the place for you. The 20% they take is worth it to me because it's guaranteed you get your money unless you sell something that has holes and didn't disclose it. 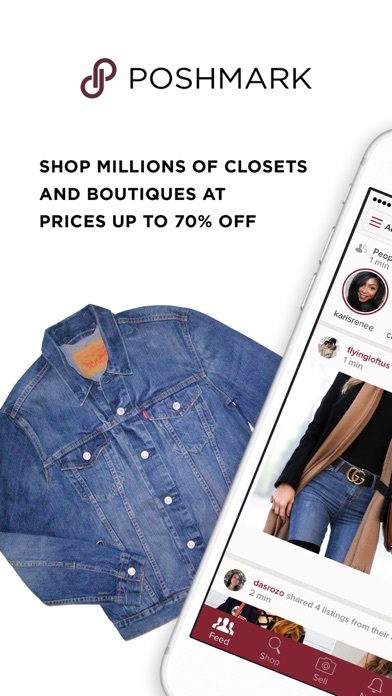 This app is perfect, they protect you, they help you growing and you can find EVERYTHING at a good price but now they are collecting taxes and high taxes, but I don’t understand cause Poshmark is a way to sell and buy things from others not from them and they charge 20% of the sales(for using this platform) but now taxes too?? It’s way too much. Way easier then EBay. Have been on it about a month now and it is super fun and I have made about $700, couldn’t be happier. 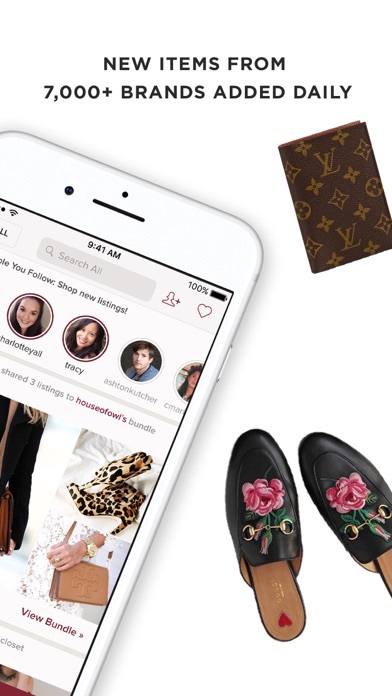 Poshmark is the future of fashion!! I’m on Posh everyday. I’ve been able to utilize it to sell personal & resell items. Once you get the hang of sharing your items & other people’s items, it’s pretty simple, & very useful. It’s been a blessing! This app is great and all until you get some clothes with holes and when you ask to return they only give you 48 hours. And if you don’t return them in 48 hours you’re stuck with some pants that clearly have a hole. Great way to punish the buyer, when the seller didn’t Pay attention to what she put up for sale. Don’t bother with this app. This app it’s really awesome. I have my first sale in only 3 days. I love the concept behind this app and I think it’s a great platform but the customer support is one of the worst I’ve ever dealt with. I have had to contact them on multiple occasions regarding account issues and responses would be days in between with a different employee each time, each requesting different information. It was incredibly frustrating and unhelpful. At one point when I was locked out my account I was requested to send a picture of my drivers license for “security reasons.” Absolutely not. Poor customer support all around. Completely turned me off to the app. I am not one to write reviews on apps or anything. I’ve had Poshmark for awhile now. Sold a few items and had good experience with it until today. I sold a brand new name brand dress to a someone. Once she received the item she claimed it’s stained and unwearable. The photos I posted of the dress clearly do not show the stains she said that were on the dress. She put in a claim for it saying it’s damaged and not wearable. Poshmark gave her the money back and is returning my item to me. 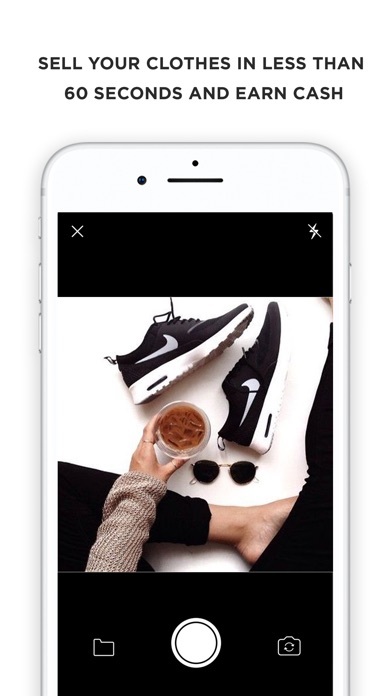 Please do not use Poshmark. They will not look into a problem or reach out to you. Now I will be getting back a brand new dress with stains on it from someone who clearly out them on the dress. I will be losing money for the brand new dress that is not apparently sellable anymore. Since joining Poshmark I have relieved many marketing emails trying to sell me things when in reality I only joined to sell my items. When I joined it automatically made me follow random people and had random people following me. This seems more like a social media site than a place to actually sell used items. I’d have more luck posting my things on Instagram and FB. Waste of time. Everything was going great until I tried posting a new item and it kept saying “Error Sorry something went wrong” I have deleted the app and installed it again and that didn’t help.. I also restarted my phone but that’s not the issue either. This has never happened before and now I can’t post new items and have to stick with the ones I already have posted. 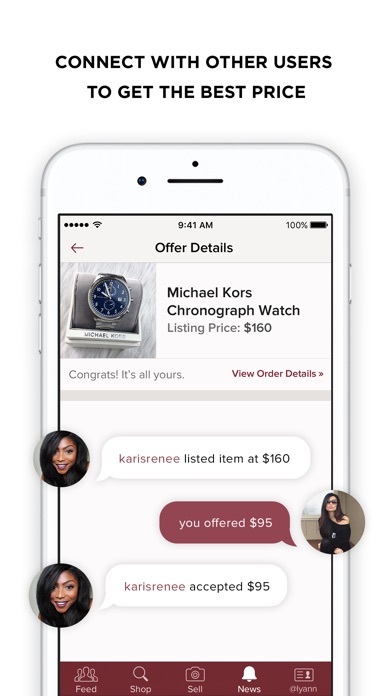 More IOS Apps by Poshmark, Inc.